As there are very few stories in this Purana, I will only include one story. The story I am including talks about why the Earth is called Vasudhara. The story behind it is fascinating and has not been recounted before in any of the Puranas. 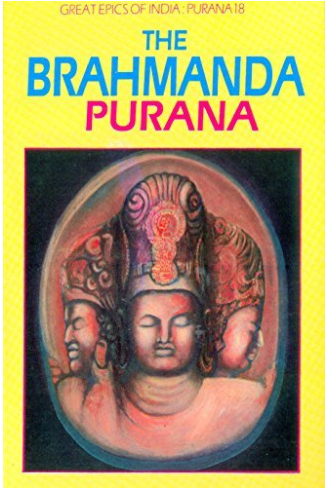 The Purana gives a lot of details on the Manus, the different Vedvyasas that came and went, and this is also the only Purana that gives some details about the other places except Bharatvarsha in Jambudvipa. The details mentioned have not been mentioned in any other Mahapurana. There is also a whole chapter on where the different gods live. This too haven’t been mentioned in any other Mahapurana. Once, the gods were organizing a special horse-sacrifice, and invited many sages to the sacrifice. A lot of animals were sacrificed for the sacrifice and the sages could not bear to see this. They went to the gods and asked them to stop sacrificing so many animals as it was not their dharma. They said that it was a sin. The gods did not agree with what the sages said and slowly both parties started arguing angrily. They decided to go to King Uparichara Vasu as he had learnt the true techniques of yajnas from Uttanpada. King Vasu was a very good friend of Indra, so he sided with Indra on the matter and said that sacrificing so many animals at a sacrifice was permitted. However, the sages felt that the King had lied, so they cursed him that he would have to enter the Earth and then continue to live in the underworld. The only question was that what would King Vasu live off in the underworld. Therefore, the gods said that the clarified butter offered at the sacrifices would be offered to him. Another word for clarified butter is ‘vasu’, and the word for flow is ‘dhara’. King Vasu lives in the underworld and feeds on the flow of clarified butter. Hence, the Earth is known as Vasudhara. In none of my earlier reviews have I mentioned the different parts of Jambudvipa, so let me do so in this review. Svayambhuva Manu and his wife Shatarupa had two sons. One was Uttanpada and the other was Priyavrata. In turn, Priyavrata had ten sons. They were Agnidhra, Agnivahu, Medha, Medhatithi, Vasu, Jyotishmana, Dyutimana, Havya, Savana and Putra. He divided the Earth into seven regions and gave seven of his sons one region each. Agnidhra got Jambudvipa. Agnidhra had nine sons. They were Nabhi, Kimpurusha, Hari, Ilavrita, Ramya, Hiranvana, Kuru, Bhadrashva and Ketumala. He divided the Jambudvipa into nine regions and each region was named after the son it was given to. Nabhi’s son was Rishabha, and Rishabha had a son named Bharat. After Bharat, the region ruled by Nabhi was called Bharatvarsha. This Purana is also wondrous and tells you so much about your culture. It makes understanding geography better, as a part of this talks in detail about the geography of the Earth. Lastly, this is a Purana, one of the sacred texts of Hinduism. This yuga being the kali yuga, a single act of kindness is enough to get you a lot of punya, which will take you straight to heaven.